Carnegie Mellon University’s Roberta Klatzky has been elected to the American Academy of Arts and Sciences, along with CMU’s Granger Morgan, joining the world’s most accomplished scholars, scientists, writers, artists and civic leaders. "In a tradition reaching back to the earliest days of our nation, the honor of election to the American Academy is also a call to service," said Academy President Jonathan F. Fanton. Klatzky, the Charles J. Queenan Professor of Psychology in the Dietrich College of Humanities and Social Sciences, is a world-renowned expert in cognition who examines the relationships between human perception and action, with a focus on touch. She investigates this from the perspective of multiple modalities, sensory and symbolic, in real and virtual environments. 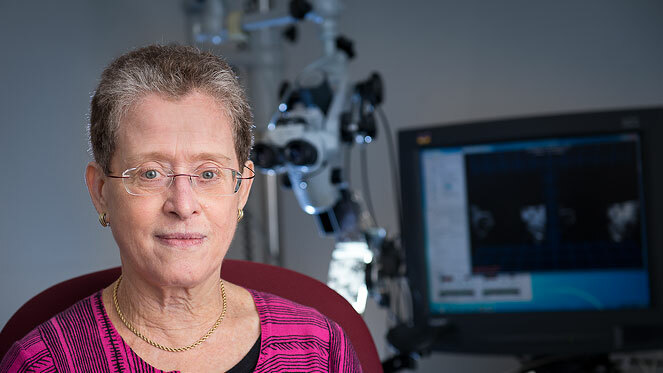 Her research has been instrumental to the development of telemanipulation, image-guided surgery, navigation aids for the blind and neural rehabilitation. Klatzky, who holds appointments in the Department of Psychology, Human-Computer Interaction Institute and the Center for the Neural Basis of Cognition (CNBC), considers her research as a cognitive scientist who focuses on perception to be far from what most people think of as psychology. She became interested in perception while studying math at the University of Michigan and believes that her math background has been invaluable, given the quantitative nature of her work and her close collaboration with researchers in engineering and the life sciences. CMU has been home to 22 Academy members, including six currently in the Dietrich College.